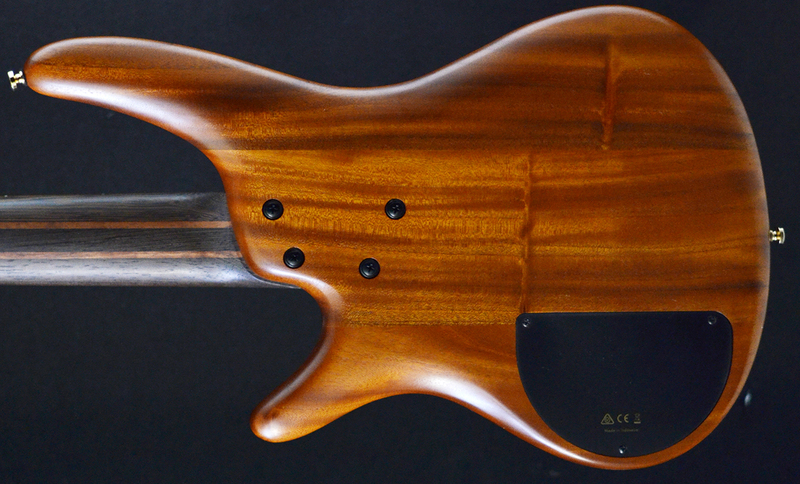 One of the main differences between the standard and premium series basses comes with the neck and its construction. This neck has a slightly different profile that Ibanez call 'Atlas' it feels a little bit thicker than an normal SR neck but it is still on the small side. 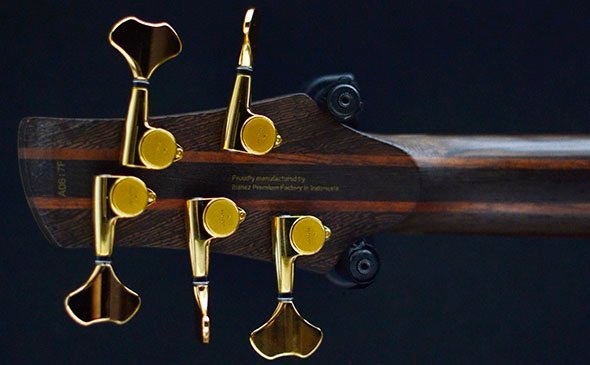 It is also made of a 5 piece mixture of wenge and bubinga which means that the neck is not only strong and stable but also resonates with the lower frequencies fantastically. Finally the neck has also gone through the Premium Fret Edge treatment, this rounds off the frets so you get a smoother playing surface and a more comfortable neck grip. The Soundgear body shape is one of the most popular body shapes in the world at the moment with those that love lightweight and thin basses. It also helps that when given the Ibanez touch it can be absolutely stunning. The SR1805 body is made up of a myriad of different woods to keep the sound fresh and clear. The back is made of walnut and mahogany while the top is rosewood with two thick flamed maple strips running through the center of the body. With its natural finish these woods really come to life and work wonderfully with each other. 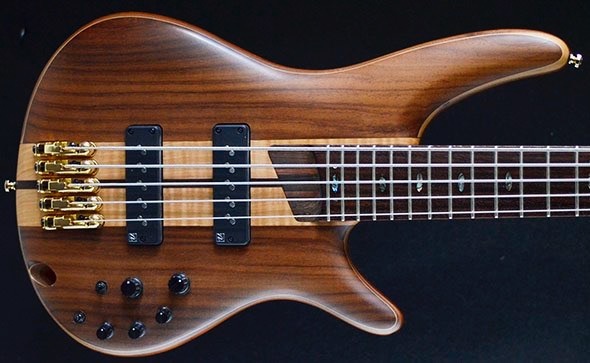 You will fit in at every kind of gig with this bass... one bass for all nights of the week. 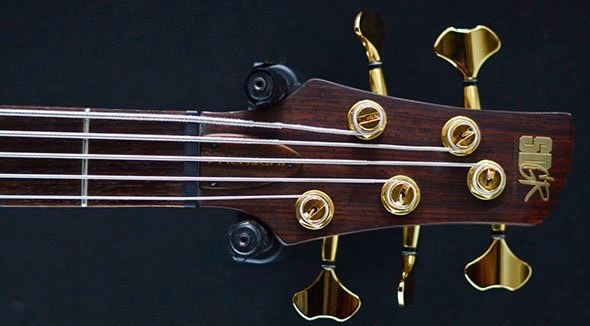 As this is part of the premium series this bass has to have top notch hardware. The Nordstrand Big Single pickups and EQB-IIISC preamps are made to work specifically with each other and with this bass. These pickups are creamy thick sounding single coils that can really get aggressive when you dig in. One of the coolest things about the preamp is that you can turn the active EQ on or off at a moments notice if you need to change your sound to a more natural tone quickly.